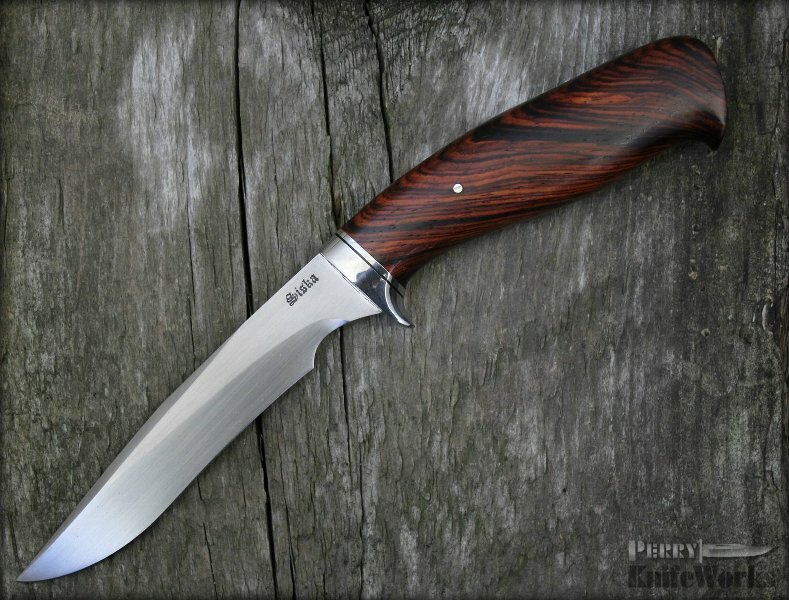 This utility hunter model has a beautiful cocobolo wood handle and a hand sanded CPM154 clip point blade. The Jim Siska utility hunter offers a rugged design with perfect ergonomics. It has a beautiful handle made from rich cocobolo wood with a polished 303SS guard. Item includes a custom brown leather belt sheath by Jim for a comfortable carry.